Find Mountains Edge, NV Homes for sale. View Photos, Maps and MLS Data Now! Sterling Ridge - The Perfect Home From Top To Bottom**2-tone Interior Paint**plush Berber Carpeting**ceramic Tile Flooring**granite Kitchen Counters**large Upstairs Balcony With Mountain Views**covered Patio**nicely Landscaped & Much More** MLS#2089219. Keller Williams Realty Las Vegas. Don'T Miss This Well Maintained Home With A New Water Heater, Hunter Douglas Blinds Throughout, Hand Forged Custom Railings All On A Pool-sized Lot! MLS#2088892. Signature Real Estate Group. Jasmine Falls - SID completely paid off, HOA is only $38/mo. A must see! MLS#2088638. BHHS Nevada Properties. Versante - Covered patio w/oversized in-ground spa & heated pool. MLS#2088450. Keller Williams Southern Nevada. 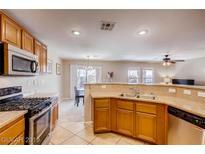 Silver Hills Mountains Edge - Large backyard, 3 car garage, and close to shopping and freeways. No HOA. A Must See! MLS#2088553. Seven Hills Real Estate. and a small loft area in addition to a separate laundry room with natural light from window! SID/LID paid for! MLS#2087517. Urban Nest Realty. Via Valencia Via Ventura - Put this house on your "must see" list. MLS#2088379. Integrity Real Estate. Maravilla At Mountains Edge - Beautiful 3 Bedroom 3 Bathroom Home in Mountains Edge, 9ft Vaulted Ceilings, Extended Kitchen Island, Plantation Shutters throughout, Dual Zone Nest Thermostat, Rooftop Deck with Pallet Furniture, Desert Landscaping with Built-In Deck in Backyard, 2 Car Garage, Hardwood Floors Throughout, Tile in Bathrooms, Carpet in Bedrooms, Custom Built-In Walk-In Closet in Master Bedroom, Built in Wine Bar Downstairs. MLS#2087151. ERA Brokers Consolidated. 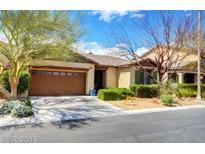 South Mountain - Convenient location to schools, shopping, freeways, and other daily activities. NO SHOWING UNTIL 4/19/2019. MLS#2087720. ZipRealty Residential Brokerag. Tranquil, low maintenance backyard with covered patio. MLS#2088176. NextHome Integrity. Mountains Edge - Home is in excellent condition featuring 3 Bedrooms, 2.5 Baths, Upstairs Loft, Blinds/Shutters Throughout, Carpet upstairs, Tile downstairs, 2 Car Garage with extra workspace 220/electrical outlets, Serene Backyard with large concrete patio, Close to Schools, Parks, Shopping... MLS#2085939. Premier Realty Group. South Mountain - Spacious living room great for entertainment. Backyard desert landscaping-easy to maintain. MLS#2086951. Easy Street Realty Las Vegas. Stonebridge - 2 car garage. Closets with great storage MLS#2088786. BHHS Nevada Properties. San Gabriel - Enjoy the fresh air while relaxing in your jacuzzi spa located on the back patio! MLS#2087779. Vegas Dream Homes Inc.
Stonebridge - New shower tile and huge backyard with covered patio . Welcome home ! MLS#2087832. United Realty Group. Sutter Ranch Estates - Built in 2014, this Las Vegas one-story offers an in-ground pool, granite kitchen countertops, and a two-car garage. MLS#2087051. Opendoor Brokerage LLC. Mountains Edge - Large secondary bedrooms upstairs and one downstairs. MLS#2087681. Local Realty. South Mountain - **ALL THREE BEDROOMS HAS ITS OWN PRIVATE BATHROOM** TWO MASTER SUITES; one upstairs & one downstairs** Large loft upstairs which can easily be converted into a 4th bedroom** The kitchen connects to the dining & family rooms perfect for entertaining** ALL APPLIANCES INCLUDED** MLS#2087388. Prominent Realty Group LLC. Sterling Ridge - Please ask about special financing options through Kelle Mortgage. MLS#2087169. Keller Williams Realty SW.
South Mountain - Mountains Edge Home with no master HOA.Freshly Painted 3 Bedroom with Master Upstairs & 2 bedrooms downstairs~Corner Lot ~All appliances stay~Ready for Move in~Backyard with Artificial turf Easy Maintenance~Low HOA fees~Priced to Sell~A Must see !! ! MLS#2087730. Realty ONE Group, Inc.
Chaco Canyon Mountains Edge - Kitchen with granite tops, SS appliances. Back yard OASIS and more. MLS#2086895. Realty ONE Group, Inc.
Mesa Mountains Edge - Patio furniture is included with the purchase of the home! MLS#2087092. Keller Williams Realty Las Vegas. South Mountain - Features include quartz-like counters in the kitchen, wood-like flooring downstairs, immaculate carpet throughout, all appliances staying, upstairs master is separate from other bedrooms and has a balcony off of it, spacious bedrooms, and an easy maintenance backyard. MLS#2087137. Simply Vegas. Mesa Mountains Edge - Pool Size Back Yard. Must see! MLS#2085331. United Realty Group. Stonehurst At Mountains Edge - Upgraded LED recessed lighting throughout, breakfast bar seating at the kitchen island, ceiling fans with lights in the bedrooms as well as plenty of room to entertain or play in the backyard. MLS#2086153. THE Brokerage A RE Firm.